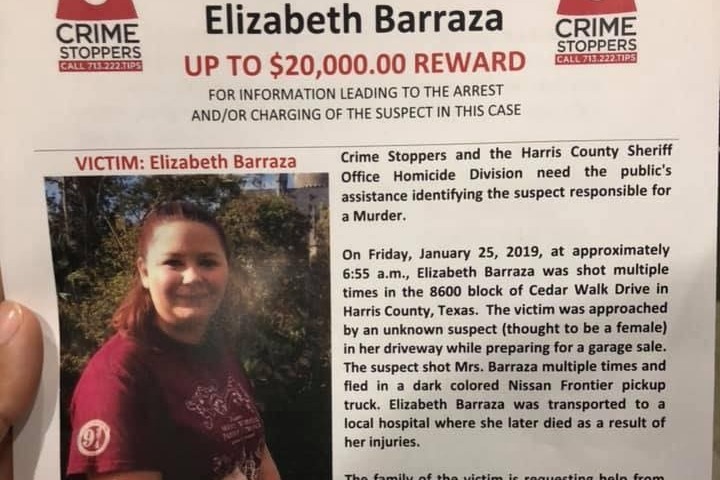 On the morning of January 25th, Elizabeth Barraza, was shot in front of her home moments after Sergio Barraza, her husband, had left for work. Neighbors heard the gunshots and immediately contacted 911. 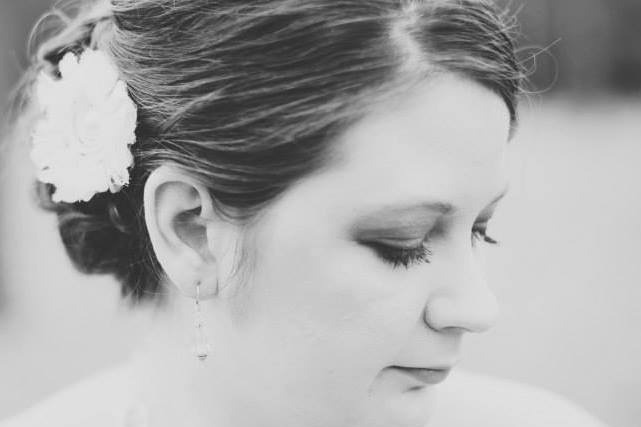 Liz was Life Flighted to the hospital, where she later died because of her injuries. Liz was an organ donor, so with broken hearts, our families stayed at her bedside while transplant recipients were coordinated. Over one hundred people will be saved by Liz. Liz's killer has not been apprehended. Neighborhood cameras caught the entire event, but unfortunately, the person who shot her, and the vehicle cannot be identified. News outlets have released this video in hopes the public can help. 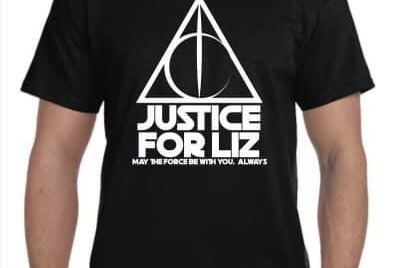 Our goal is to raise money for a reward for information about Liz's killer. We also want to provide a memorial service that reflects the beautiful life Liz shared with all of us and honors her. All donations after the reward is announced will go towards Liz’s medical bills. Liz and Sergio's life was dedicated to the service of others, and now they need our help. A $20,000 reward for information on Liz’s case was announced on Feb 6th. Funds have been raised with the help of Peter Mayhew, the actor who played Chewbacca, and his foundation, the 501st Legion Star Garrison, and this GoFundMe page. Thanks again to the Peter Mayhew Foundation and it's Communications Director, Matthew Egan. The 501st Legion has also provided direct aid to Sergio and Liz's family as well as donating to this cause. Thank you for your ongoing support. Awareness of Liz’s story continues to grow expanding to national coverage through televised news and print media. Below are stories that were published this morning. We hope that with continued coverage, someone will step forward with information that will bring peace and answers to our families. You can also view the entire press release Crime Stoppers of Houston Facebook page. Please share this story in the hopes that someone with more information will come forward. Thank you for your generous donations, we hope it will bring our family closure and prevent another senseless crime. Thank you to BIG FROG CUSTOM T-SHIRTS OF TOMBALL especially Eli who helped design the shirts and provided discounted pricing to help maximize the the reward. The order for the shirts will be placed on Tuesday evening and you will receive a call when they are ready to be picked up. We would like to express our deepest gratitude to those local businesses that graciously donated for Liz’s Celebration of Life Service. We have been so humbled by the outpouring of love and support for Liz and Sergio. Thank you , so much, everyone. Please join us tonight for a candle light vigil in honor of Liz. It will begin at 7PM on the 8600 block of Cedar Walk. There will be speeches made by family members, police, and the media will be present. We have all been rattled by the violence that took Liz from us so we have coordinated a police presence for tonight. There will be shirts available for purchase for $20, all proceeds will go toward the Crime Stoppers reward. This is not how anyone could have imagined spending Liz and Sergio's 5 year wedding anniversary. Please come and show your support for Liz's family and take time to remember the kind, gentle, smart, funny, beautiful woman we have lost.